January’s here. The Christmas season of partying and over-indulgence is well and truly over. . . Or is it? A 10-hour flight across the Atlantic could deliver you to the bright lights of Sin City, where you can experience glamour and adrenaline in equal measure all year round. Indeed, everything about this gambling paradise is over the top and truly spectacular – including the fanciest new casino hotels still popping up every now and then, the last one in 2016. Here, we look at some of the best places to stake a bet and rest your head. A sprawling complex with grand proportions and a Roman-inspired design, Caesars Palace is one of the most famous landmarks on the Vegas Strip. It’s no stranger to the rich and famous, with countless members of celeb royalty having walked through the doors. Elton John, Frank Sinatra, and Mariah Carey have all performed in the main performance hall, known as The Colosseum, and the hotel’s casino facilities are unrivalled. Take a risk playing blackjack, roulette, baccarat, and more in truly luxurious surroundings, or step inside it’s 4,500-square-foot poker room that’s open around the clock. There are just under 4,000 suites for weary travellers to put their feet up after a hard day of fine dining and gambling excitement. These include the Marc Anthony Villa, with an 800-square-foot patio plus a private pool, and the Forum Tower Duplex Suite, made famous by some of Hollywood’s biggest blockbusters. Just a stone’s throw from Caesars Palace, and fronted by an iconic display of dancing fountains, you’ll find the Bellagio. Here, you’ve got it all: take a dip in one of the exquisite pools, stroll through Nevada’s finest courtyards, or delight your taste buds with food prepared by a Michelin-star chef. For all the casino high rollers out there, we recommend a trip inside the Bellagio’s thrilling ‘Club Prive’ high-limit lounge. It’s an intimate and indulgent affair, boasting a modern yet opulent Art Deco design and a well-stocked cocktail bar. You’ll find a great selection of table games to take your fancy, including Chinese-inspired Pai Gow Poker. Rooms in the Bellagio range from penthouse suites to three-bedroom villas, with unrivalled views of the hotel’s stunning man-made lake reflecting the hot Nevada sunshine. Priding itself on extraordinary luxury, The Venetian is a truly unique Vegas venue. Immerse yourself in an Italian fantasy, as you take in the Grande Colonnade Lobby and stroll through the resort’s own replica of historic St Mark’s square. The gambling experience on offer is equally impressive. In fact, The Venetian boasts one of the best selections of slot games in the entire city and it spans across two whole floors. But when you do need a break from all those ringing bells and spinning reels, the plush pillows of it’s beautiful Bella Suite create a calming retreat, whilst the jetted hot tub of the Prima Suite is sure to help you unwind. The first mega resort in the city, and said to have shaped what we now know as the classic Vegas experience, The Mirage opened its doors back in the late 80s. But constant renovation and distinctive features ensure it remains a hot contender with younger, neighbouring resorts. Actual gold dust gives the windows an iconic shimmering tint, whilst the hotel’s stunning volcano is enough to make your jaw drop. When it comes to entertainment, this is the place to be. Try for a hole in one on the green grass of the hotel’s own golf course, enjoy enchanting animal encounters in the Secret Garden and Dolphin Habitat, or get your heart racing with the casino’s excellent range of slot and tables games. Plus, with Deluxe Tower Suites and multi-bedroom Villas, you’ll have no trouble getting some well-deserved shut eye after a hard day’s play. There you have it – four truly unique casino hotels where you can escape the January blues. Once you’ve got flights and hotel booked, all that’s left to do before hitting the Strip is to get in some practice. 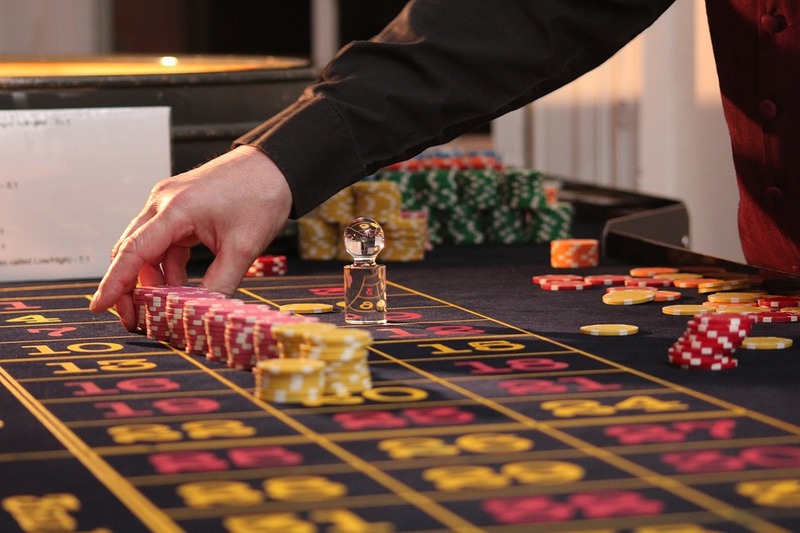 You’ll find a great selection of online slots and casino games to help sharpen up your skills – and you might even manage to win some spending money in time for your upcoming Vegas vacation. . . Tagged casino, destinations, gambling, Las Vegas, travel, vacation.